Many years ago, my high school English teacher told our class, “If you can fill your one hand with the number of close friends you have, consider yourself fortunate.” I guess I was one of the lucky ones, as I’ve been blessed with many friends who are very special to me. While I never take them for granted, for some reason this season of Thanksgiving makes me appreciate those friendships even more. One person whose friendship I have valued for years is Marilyn Smith-Mooney, whose list of accomplishments could span several lifetimes, and her contributions and love for her community is second to none. From her early years growing up on Long Island, NY, Marilyn possessed an entrepreneurial spirit. For 30 years she had a private sector career focused on architecture/interior design and construction and in fact owned a commercial construction company, something not very common for a woman to own in a male dominated industry. Later she took those creative skills and became the first woman in Executive Management for the #1 cosmetics packaging company in the US. Not one to follow just one passion, Marilyn had a “secondary career” as an FAA Commercial Pilot and Flight Instructor, which earned her the Amelia Earhart Medal for outstanding leadership in the international non-profit organization of licensed women pilots (The Ninety-Nines,Inc.) 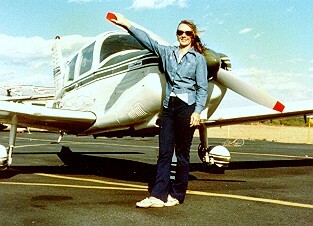 founded by Amelia Earhart. In 1993 Marilyn took her skills with her, following her heart in a move that took her to Punta Gorda, and it didn’t take long for her presence to be felt. 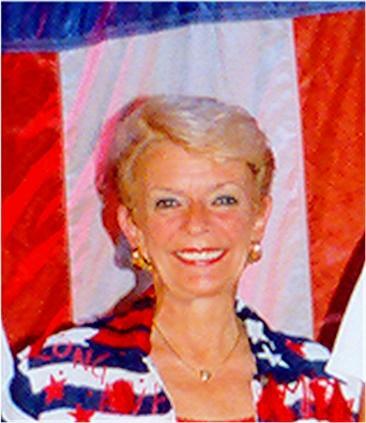 To this day Marilyn holds one of the longest tenures on the Punta Gorda City Council, serving from 1996-2008,having been re-elected for five terms. She served twice as Vice Mayor and in 2001 became Punta Gorda’s first woman mayor since the city’s founding in 1887. 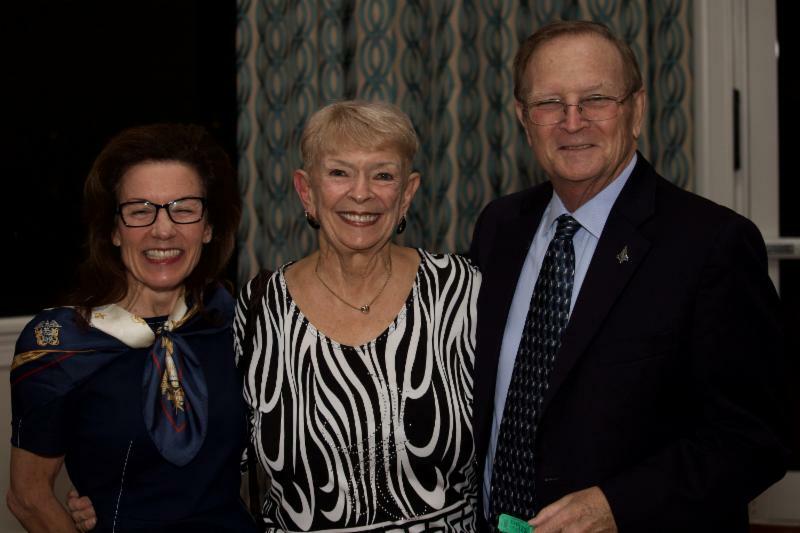 During her 12 years on City Council, Marilyn’s service to the community included serving as the city’s representative to the Southwest Florida Regional Planning Council, Charlotte County Tourist Development Council, Punta Gorda Housing Authority, Enterprise Punta Gorda, Arts and Humanities Council and the Charlotte County Domestic Violence Task Force. She is a graduate of leadership Charlotte and Leadership Florida and was the first recipient of Charlotte County’s Visitor and Convention Bureau “Tourism Ambassador Award” for her commitment to increasing tourist development. As if this isn’t enough to make your head spin, Marilyn’s city council and other community-wide efforts and achievements cover a broad spectrum of unique initiatives that include downtown, neighborhood and economic development, infrastructure improvements, hurricane recovery, business and event development, mentorship programs, children’s services, charter review committee, financial management as well as a tremendous investment of time and financial support of numerous school, park and non-profit organizations. After her integral role on City Council, Marilyn served as Executive Director for the Tetrault Family Foundation from 2008-2016 when the Peace River Botanical Gardens was first conceived. The goal was to help ensure the people of Charlotte County would become recipients of one of the largest botanical gardens in Florida. What started as a volunteer position turned into the role as Executive Administrator of the partnering non-profit organization founded to manage the gardens. While the Tetrault family continues to develop the balance of this 27-acre property, when completely funded by the Tetrault Family Foundation it will comprise a $30 million gift to the people of Charlotte County and Punta Gorda. While I have always been intrigued with history, as I’ve grown older I find myself envisioning the sacrifices so many made to give us the freedoms we enjoy today. Whether I’m traveling or I just come into contact with a Veteran, I make it a point to thank them for their service, which I know is a passion Marilyn embraces as well. 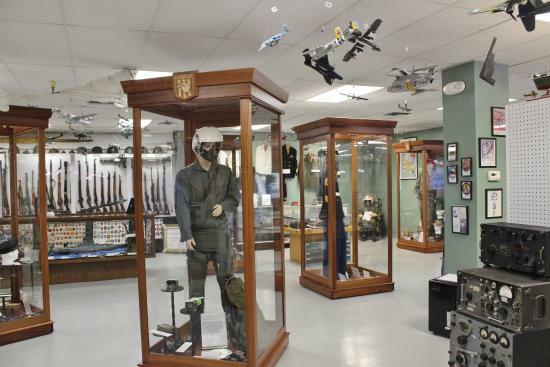 Founded in 2001, the Military Heritage Museum almost went bankrupt some years later and Marilyn was approached, due to her business acumen, “to run it like a business, not something for fun”. As current Board President her goal has been to relocate the museum into its own building where it could “enjoy the dignity it deserves while bringing history alive.” If you have never been to the Museum currently located in Fisherman’s Village, you need to put this on your “must do” list as the veterans who devote their time bringing “history alive” share their impassioned stories as if these moments in history occurred yesterday. When people ask me what makes Punta Gorda so special, I tell them it is due to the vibrant Chamber of Commerce and the area’s community organizations and non-profits, most of which Marilyn is an active member. Not only is Marilyn a member of TEAM Punta Gorda, the Punta Gorda and Charlotte County Chambers of Commerce, the Isles Civic Association, Historical Society, Visual Arts Guild, the Punta Gorda Elks Club and a host of other civic and non-profit organizations, but she is a Supreme Court-certified Mediator for the 20th Judicial Circuit! When asked how she would like to be remembered, Marilyn responded by saying, “As someone who does her homework and always calls people back.”As a friend, you couldn’t ask for someone more loyal and caring. While her handprint can be found throughout the City, the lives she’s touched like mine are even more expansive. She is not only a wealth of knowledge but has a wicked sense of humor. As we celebrate this month of Thanksgiving, let us reflect not on our differences but for those special friendships in which we’ve been blessed.